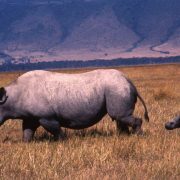 Ngorongoro Crater Safari – Our 3 Days Safari to Ngorongoro Crater is the best tour you can take to the Ngorongoro. 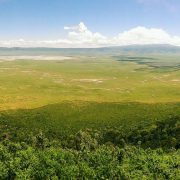 Also referred to the Eden of Africa or the 8th Wonder of the world ; Ngorongoro Crater is the place to be if you are short of time while visiting Tanzania for just a few days, but still want to make the most of your shortest time that you have got. 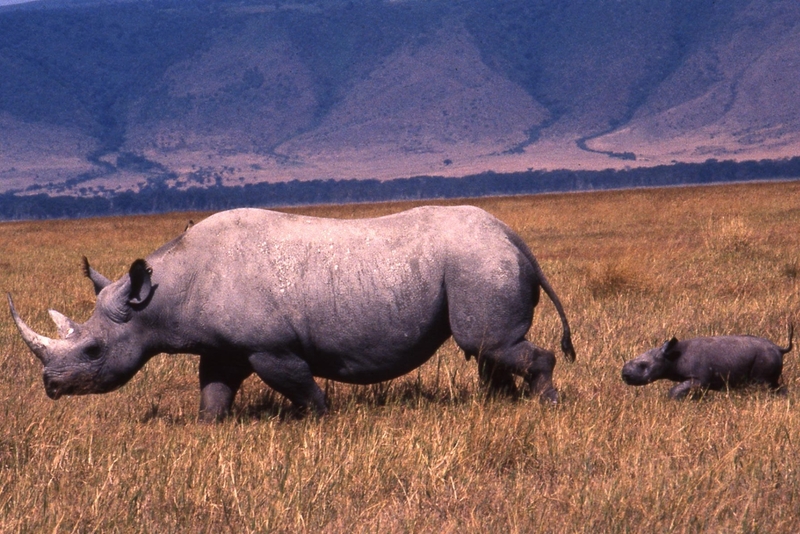 Ngorongoro Crater safari offers the rare chance of spotting the big 5 with such limited time. The Crater floor itself is just a small area of about 21 Kilometers in diameter and animals an be spotted in amazingly short distance. 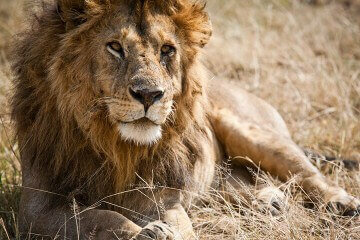 This 03 day Ngorongoro Crater safari is quoted with staying at a very nice mid-range lodge (comfort level). However the same package can be offered using an upgraded lodge or cheaper option if possible. Kindly ask our experts for a free advise and customization. The crater floor harbors more than 20 thousand animals and a birders haven with more than 500 bird species recorded. See our 3 days Safari to Ngorongoro itinerary sample on the next tab. The tour can be done while staying at Standard luxury lodges or tented camps or a mid range lodge called Country Lodge in case you wish to keep the price low. There are several mid range lodges and tented camps also just outside the Conservation area around Karatu where you can stay while enjoying your safari in Ngorongoro Crater, but it is worthy noting that the entrance fees to the Conservation area is paid per entrance. 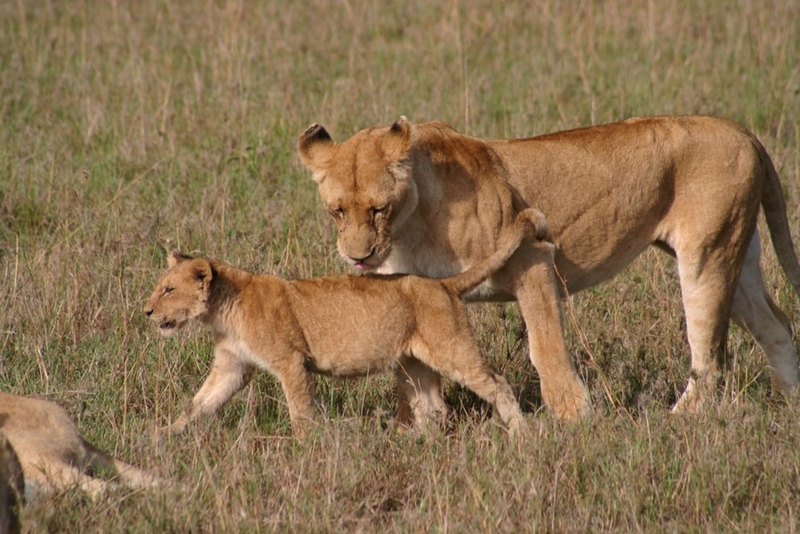 Safari Prices Depend on number of persons coming with you and the accommodation used. 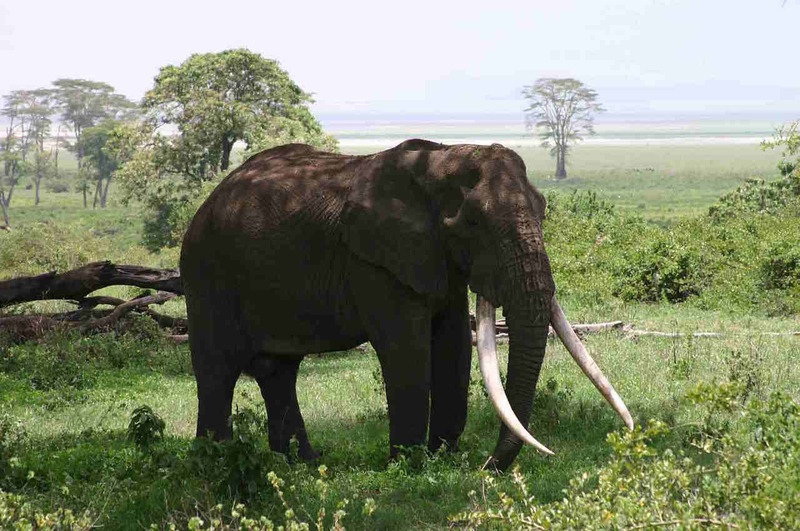 This safari can be done from Zanzibar or Dare es Salaam with a flight into Ngorongoro or Arusha town. If you wish to do the Ngorongoro Crater Safari from Zanzibar or Dar es Salaam you can also take a flight into Kilimanjaro International Airport where you can make your own way to Arusha; the starting point of the safari, or you can also ask for transfer from us. We can also easily arrange your connection flight from Dar es Salaam or Zanzibar to Arusha or Ngorongoro Crater. Coastal Aviation also flies to Lake Manyara where it will be a shorter 1 hour drive to the Ngorongoro Conservation Area’s main gate of Loduare. The same safari to Ngorongoro can be done starting from Mwanza. Contact one of our safari experts for a customized Ngorongoro Crater Safari and an experience of a lifetime! 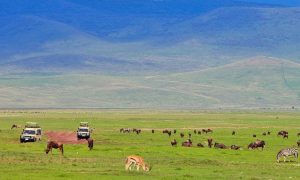 First day of your Ngorongoro Safari tour you leave Arusha town as early as 07.00 – 08.00 AM and drive through the Masai Steppe and pass Lake Manyara area in the Rift valley; drive up the escapement and across Karatu area to the Loduare Gate of Ngorongoro Conservation Area. After a short stop at the gate for registration we drive up to the View point where we make a brief stop to get some of the most breathtaking views over the Crater floor and take some photos. We then descend into the Ngorongoro Crater floor for game drives for the rest of the day. Picnic lunch will be served at the picnic site by the hippo poolside then continue with game drives later in the afternoon we drive up the Crater rim and out to Karatu for overnight at a lodge. Overnight at Marera Valley Lodge or Country Lodge or similar at Karatu. Lunch and dinner included. After breakfast you will descend into the Ngorongoro Crater also often referred to as the “Eden of Africa” . The largest unbroken caldera in the world; the Ngorongoro Crater is unparalleled in terms of wildlife concentration. Your drive will be in constant contact with other drivers to locate the best sightings of animals and with a little luck you will be able to spot the big 5 inside the Crater. Lunch will be served at the picnic site and late in the afternoon we will drive back to the Crater rim and drive to your lodge at Karatu; a lodge like Marera Valley Lodge or Country Lodge. On this day after a leisurely breakfast at the lodge you will choose between visiting a Masai Village and going for a nature walk in the forests of Ngorongoro (at a small extra fee ). 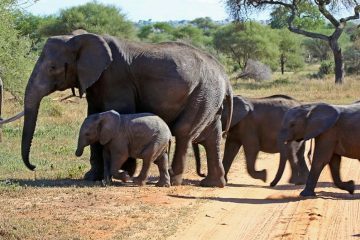 Guided by an armed ranger you will walk in the forest trails and if lucky you might bump into herds of buffaloes, elephants as well as other forest species like the duikers, also lions leopards etc. After the activities you will drive back to Arusha town with a brief stop at Karatu and Mto wa Mbu market towns where you may mingle with the locals and do some shopping if you so wish. End of the 03 days Safari in Ngorongoro Crater. 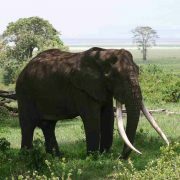 This safari can be done from Zanzibar or Dar es Salaam with a flight into Ngorongoro or Arusha town.